Manchester United manager Ole Gunnar Solskjaer believes a Champions League comeback at Barcelona would be a greater achievement than the club’s last-16 miracle against Paris Saint-Germain . United will head to Camp Nou needing to overturn a 1-0 first-leg quarter-final deficit following Wednesday’s defeat to Barca at Old Trafford. Luke Shaw’s 12th-minute own goal left United with another uphill battle away from home, however, Solskjaer said the Red Devils can complete a great escape – like they did when the club came from 2-0 down to stun PSG 3-1 in Paris last month. 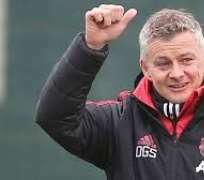 “Of course, the PSG performance gives us hope and belief that we can do it,” Solskjaer said in his post-match news conference. “But we know we are playing against probably the favourites and going there will be a challenge. “It’ll be a greater achievement, winning that one, because of the history of Barcelona, they’re not used to losing at home. But we can do it. Barca were underwhelming in victory, with United largely nullifying Lionel Messi and the visitors following their opening goal in Manchester. The only thing missing, however, was a goal – Gerard Pique and Barca’s defenders relatively comfortable against the likes of Romelu Lukaku. Lukaku’s performance was criticised post-match, with the striker replaced by Anthony Martial in the 68th minute, though Solskjaer defended the Belgium international. “I think he did well,” said Solskjaer, whose United suffered a third successive home Champions League knockout defeat for the first time in their history. “He was tired towards the end, but you could see when he came off that we lacked that physical threat that he gave us, runs down the channel.